Latchfords of Baggot Street offers comfortable self-catering accommodation and free parking, 8 minutes' walk from Grafton Street. St Stephen's Green and Herbert Park are nearby. Enjoy excellent value for money and an independent stay in a studio or apartment, where you can come and go as you please. 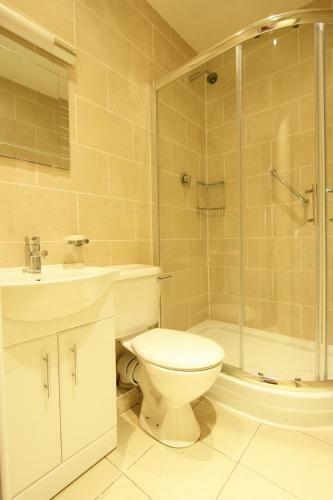 Each serviced unit has kitchen facilities, a TV and free Wi-Fi. Located in the heart of Dublin, Latchfords is directly opposite the head office of the Bank of Ireland, for privacy and peace away from the vibrant city. 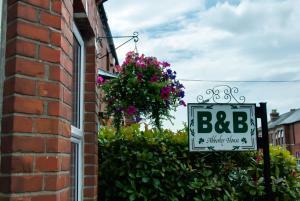 Latchfords Self-Catering Accommodation price per day from €75 Latchfords of Baggot Street offers comfortable self-catering accommodation and free parking, 8 minutes' walk from Grafton Street. St Stephen's Green and Herbert Park are nearby. Enjoy excellent value for money and an independent stay in a studio or apartment, where you can come and go as you please. 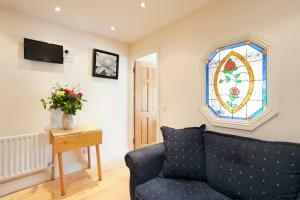 Each serviced unit has kitchen facilities, a TV and free Wi-Fi. Located in the heart of Dublin, Latchfords is directly opposite the head office of the Bank of Ireland, for privacy and peace away from the vibrant city. Premier Suites Dublin, Leeson Street price per day from €139 Located in the heart of Georgian Dublin, Premier Suites Dublin, Leeson Street are set on Lower Leeson Street. These elegant suites are ideally set within easy reach of the city’s most popular sights. Just around the corner from St. Stephen’s Green, Premier Suites Dublin offer luxury 4-star accommodation with the space and privacy only an apartment can bring. It is an ideal option for travellers who are tired of the traditional hotel stay or the diplomat or business person who can be away from home for weeks, or indeed months at a time. 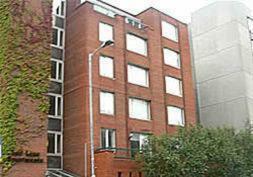 Leeson Apartments price per day from €50 Overlooking Dublin’s Grand Canal, the Leeson Bridge Apartments offer free parking and free internet access. They feature an open-plan living/dining area and well-equipped kitchens. 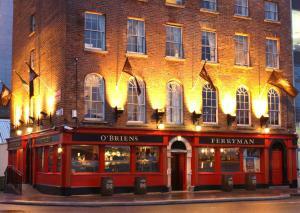 Located on Leeson Street Bridge, these Georgian properties are in an exclusive area of the city and are less than a 10-minute walk from St Stephens Green and Grafton Street. 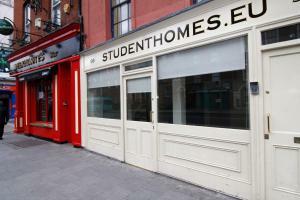 The main shopping district is close by, whilst the Gaiety Theatre and St Patricks Cathedral are less than one mile away. Shelbourne Village Gasworks - Luxury Apartments price per day from €112 Situated just 2km from Dublin city centre, Shelbourne Village Gasworks - Luxury Apartments feature a balcony overlooking a landscaped courtyard and free Wi-Fi. Guests will also benefit from scenic communal gardens and an on-site gym. 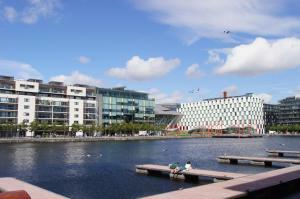 Many bars, restaurants and a theatre can be found at Grand Canal Dock, which is a 5-minute walk away. Restaurant Bloom Brasserie, Dublin Guest reviews: 9/10 ~ 0,3 km from Latchfords Self-Catering Accommodation Address: 11 Baggot Street Upper, Dublin. Cuisine: French. Restaurant Patrick Guilbaud, Dublin Guest reviews: 9/10 ~ 0,5 km from Latchfords Self-Catering Accommodation Address: 21 Merrion Street Upper, D2, Dublin. Cuisine: French. 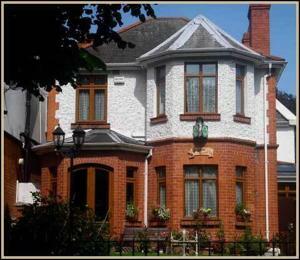 Restaurant Dax , Dublin Guest reviews: 9,2/10 ~ 0,5 km from Latchfords Self-Catering Accommodation Address: 23 Pembroke Street Upper, 2, Dublin. Cuisine: European. 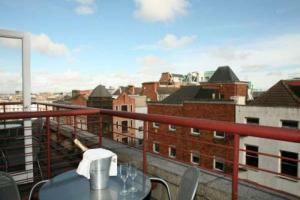 Restaurant The Sussex, Dublin Guest reviews: 9,2/10 ~ 0,6 km from Latchfords Self-Catering Accommodation Address: 9 Sussex Terrace, Upper Leeson St., Dublin. Cuisine: Irish. 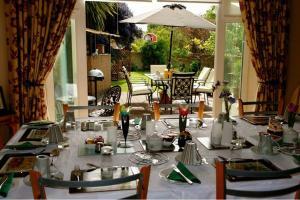 Restaurant Dining Room at the Ariel House, Dublin Guest reviews: 9,8/10 ~ 1,1 km from Latchfords Self-Catering Accommodation Address: 50-54 Lansdowne Road, Dublin.